The most common issue that most Loft sellers confront is determining exactly how much their Loft is worth. If you’re selling your Loft, then you know that many factors contribute to the pricing. While it can be tempting to price your Loft on the high side, it can have potentially devastating consequences. This is what can happen when you list your Loft for too much money. Most loft buyers begin their searches online. In most cases, they’ll conduct a search that includes their price range. When you price your Loft too high compared to others in your neighborhood, your Loft will not show up in the search results. Many buyers who may otherwise have been interested in your Loft will never even see it listed online. Another danger of overpricing your Loft is that you will attract the wrong buyer. If a potential buyer is looking at homes all in the same price range, they may be disappointed with yours. Your Loft will not have the same amenities as the others on the market for the same price. The potential buyers who do look at your Loft will most often be non-starters. They’re more likely to make an offer on one of the homes with better amenities. New listings – those that have been posted in the last 30 days – get the most traffic. Once you’ve gone beyond those 30 days, you’ll see a decline in the number of showings you book. The longer your Loft is on the market, the more negative it appears to potential buyers. In fact, if a buyer knows your Loft has been on the market too long, then they are more likely to make a low-ball offer. In cases like this, you may end up selling your Loft for less than it is worth, simply because you priced it too high in the beginning. Even if you find a buyer that is willing to pay your asking price, you could still run into trouble. If this buyer is relying on financing to purchase the Loft, then it’s unlikely the deal will make it to the closing table. During the closing process, the lender will order an appraisal of your Loft. If the appraiser determines that the market value is less than the price you’ve agreed to sell for, the lender may deny financing. This wastes valuable time and prolongs the Loft selling process while you search for another buyer. The bottom line is – if you overprice your Loft, then it’s unlikely you will sell it. This is why it’s so important to work with a professional real estate agent who is an expert in your local market. By partnering with a knowledgeable agent, you can feel comfortable that they will price your Loft based on the current market conditions. Not only will this result in a quicker Loft sale, but you’ll also feel much less stressed in the process. Did you see a “for sale” sign go up by the entrance of the building? Watching a good neighbor move away can certainly make you feel a little sad. But it can also provide you with valuable information about your loft and the local market. This is especially true if you’re thinking about selling your property sometime soon. Here are some of the things you should do when your neighbor sells their unit. If your neighbor is hosting an open house, then by all means you should attend. This will give you time to explore their Loft and see how it compares to yours. You’ll hear feedback from other potential buyers about what they like and what they don’t like about the Loft. This can help you make decisions down the line when it comes time to sell your Loft. In addition, attending the open Loft can give you a different perspective about your Loft. What does it look like from the outside from their Loft? Is there anything that you would fix or change if you could? When your neighbor sells their Loft, it can reveal important information about your local market. How long did it take for the Loft to sell? This is especially useful to know if their Loft is quite similar to yours. If it sold quickly, you may want to sell soon. But if it languished for several weeks or months, it may pay to wait. Also, what was the final sale price, and how much did it differ from the original asking price? In addition, how did it compare to other selling prices for similar homes in your neighborhood? You may also want to find out who bought the Loft, as it can tell you if the demographic in your neighborhood is shifting. Perhaps what was once a neighborhood of young families is turning into a neighborhood of retirees. This can help you focus your marketing efforts down the line. Do you have any unresolved issues with your neighbor? Sellers are required to disclose many things about their property to potential buyers, but those requirements can vary from place to place. Be upfront with the seller’s agent about what they should communicate to potential buyers. Finally, if you’re planning to sell your Loft at the same time that your neighbor is, join forces with them. Instead of seeing it as a competition, you can work together to get a more favorable outcome for both parties. Try using the same agent if possible. This way, it’s easy for potential buyers to view both properties at the same time. You can also work with your neighbor about your listing price. Make an agreement that neither of you will lower the price without talking with each other. Now is not the time to get into a bidding war with someone who can be a good ally in your Loft sale. Social media has become an indispensible tool for keeping in touch with old friends, staying current with the news and enjoying the latest viral cat video. But did you ever consider using social media to learn about a neighborhood? If you’re getting ready to relocate and want to do a little reconnaissance before your arrival, here’s how you can use social media to help. Facebook makes it easy to find out all kinds of information about your new neighborhood. Simply type the name of the city or neighborhood into the search bar, and narrow the results by clicking “places” at the top. This will show you all the great restaurants, shops and other attractions that are popular in your new community. Facebook also has a feature called places where you can easily discover great places in every city. If you want to get a picture of how your new city or neighborhood looks, then Instagram is where you want to search. Type in the name of the city and click on “Places” in the top bar and the app will show public posts that have been geo-tagged with that location. You can also search for popular local spots to get a feel for the culture of the neighborhood. There are a couple of different ways you can use Twitter to find out more about a neighborhood. First, do a simple search for the name of the city or community. You can also search using popular hashtags for your city, which will show you all the posts tagged with that hashtag. If you want to take it a step further, you can use Twitter’s Advanced Search, which allows you to search for posts that come from a given location. It’s a great way to find out about what’s trending in your new neighborhood. You may even discover some local blogs that are full of useful information. Pinterest may be your go-to social media platform for recipes and decorating ideas, but you can also find out about a neighborhood using the app. By searching for your neighborhood or city, you’ll find all the pins related to it. It’s a great way to become familiar with local attractions, top destinations in the area, favorite restaurants and even local architecture. You can even start your own board on Pinterest to collect and save information about a neighborhood. Finally, another great way to learn about a neighborhood is by searching for it on Yelp. Here you’ll find not only reviews of local restaurants and bars, but also information about parks, public spaces and much more. Discover all the can’t-miss places and see real pictures and reviews taken by locals. That way, on moving day you’ll know just who to call to deliver a hot, delicious pizza to your new place. You probably already spend a little time each day on social media catching up with friends, family and the news. Why not spend some of that time researching your new Loft? By the time you arrive on moving day, you’ll feel like you’re already familiar with your surroundings and settling in will be that much easier. Whether you’re staging your Loft to sell or updating the look of a Loft you just purchased, chances are you’ll be painting some walls. 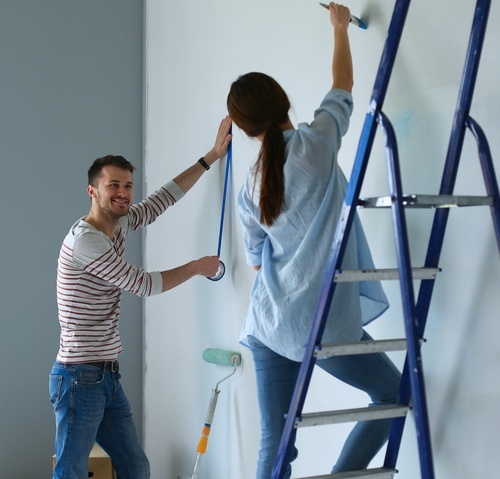 While painting seems easy, there are some steps you should take to make sure the finished product is one you’ll be happy with. Follow these tips to get a flawless finish that even a professional would be proud of. Did you fall in love with your new Loft even though the bathroom was on the small side? Or are you preparing to stage your Loft for sale and you want to show the bathroom in the best possible light? 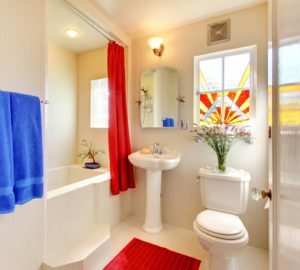 There are many ways that you can make your small bathroom look and feel larger. Here are the best tips we’ve found to maximize your bathroom without major renovations. When your bathroom is small, you want to bring in as much light as possible. For this reason, it’s important to choose pale, light colors. Take it a step further by painting the walls and ceiling the same color and using the same color tiles on the floor. Using too many colors in small room chops up the visual space. By painting everything the same color, the eyes can move around freely. If there is any room in the Loft where you need to banish clutter, it’s in a small bathroom. Clutter – especially small items – will make the room feel small. Eliminate items crowded around the sink and limit how much art you hang on the walls, if any. You can use the same trick that you use on curtains around your Loft in your bathroom. Hang the shower bar at ceiling level. By doing so, it makes the eye travel up and makes the room feel taller. The same is true for window treatments if you have them. Hang them high and keep them simple and light. It’s that time of the year when we’re all thinking about how clean our Lofts are. The Marie Kondo craze has many of us clearing out our closets and cabinets in order to make our Lofts free of clutter. But have you stopped to consider how clean the air in your Loft is as well? We spend approximately 90 percent of our lives indoors, and evidence suggests that indoor air is more polluted than outdoor air. Here’s some advice on how to clean and improve the quality of the air in your Loft. Everyone knows that cigarettes are harmful to your health – both for the smoker and for those who are exposed to secondhand smoke. According to the Surgeon General, even breathing just a small amount of secondhand smoke can be harmful. The best way to improve the air quality in your Loft is to not smoke indoors. Radon is the second leading cause for lung cancer. 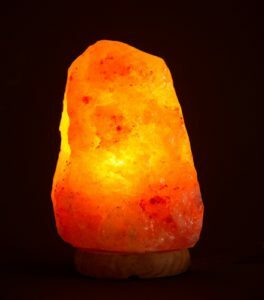 It’s an odorless, tasteless radioactive gas that is released from the decay of elements in rocks and soil. The only way to determine if harmful levels of radon are present in your Loft is to have it tested. One of the easiest and most inexpensive ways to clean the air in your Loft is to simply open the windows. Even if you only open them for a few minutes a day, it’s enough time to get the air moving so that indoor pollutants can be dispersed. Houseplants aren’t just great for decoration. They can also help filter the air in your Loft. In fact, the American Society of Horticulture Science has determined that there are three houseplants in particular that can reduce ozone levels in your Loft – snake plants, spider plants, and golden pothos. Instead of using scented candles, which perfume the air, opt for essential oil diffusers. Not only do the fragrances of the oil make your Loft smell nice, they can also cut down on pollutants. Essential oils such as tea tree, eucalyptus, rosemary, and clove have antibacterial properties and can help reduce dust mites. Are you using harsh chemicals to clean your Loft? They can actually be contributing to your problem. Toxic chemicals can cause irritation and should only be used as a last resort. Instead, opt for natural cleaners like vinegar and baking soda. Every time you run your air conditioner, you’re cleaning the air in your Loft. That’s because most AC systems use a filter that traps particles before the air is pumped back into your Loft. Be sure to replace the filters as often as the manufacturer recommends. Hardwood floors have become attractive to many homebuyers today. They provide warmth and character and when properly cared for can last a lifetime. 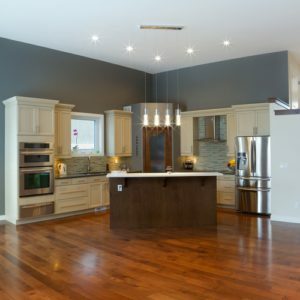 Here’s what you need to know about caring for your hardwood floors so that they stay beautiful and last for many years to come. One of the easiest ways to keep your hardwood floors in good shape is to dust them regularly. While it might not seem like a big deal, dust can accumulate and cause scratches on the surface of the wood. Run a microfiber mop over your floors several times a week to eliminate dust and dirt. Not only will this keep your floors clean, but it will also reduce the number of allergens in the air. Although daily dusting will keep dirt in check, it’s important to run the vacuum over your hardwood floors once a week. The vacuum will help to clean up any dust or debris left behind by the microfiber mop. Be gentle when vacuuming your hardwood floor as the wheels can possibly cause damage to the surface. Don’t use a vacuum with a beater bar, as this will also cause scratches. The last step in keeping your hardwood floor clean is to damp mop with a hardwood floor cleaner once every month or two. Don’t use water with the mop, and only use the least amount of cleaner necessary so that the floor doesn’t suffer any water damage. Wet mops and steam mops can also dull the finish of your hardwood. Be sure to choose a cleaner that is appropriate for the type of hardwood and finish of your floor. A great way to keep dust and dirt at bay is to use doormats at every entrance. This will help to diminish the number of particles that are attached to the bottom of your shoes. Those particles can damage the finish of your hardwood floor over time. Likewise, the legs of your furniture can also scratch and damage the finish of your hardwood floor. Be sure to use felt protectors on the legs of any furniture that come in contact with the floor. Removing your shoes before walking on your hardwood floor will certainly help protect the floor from damage. But that isn’t always practical. However – you should remove high-heeled shoes before walking across hardwood. Those high heels can cause scratches, scuffs, and even dents in the wood. Make it easy to remove shoes when coming in the Loft by keeping a basket of slippers or Loft shoes near the door. If you have dogs or cats, then they can also cause damage to your hardwood floor. Pet’s claws can scratch the floor very easily. Regularly trim your pet’s nails to avoid any damage to the floor. You should also clean your pet’s feet when they come back in the Loft after being outside. Their paws can track in dust and dirt that can scratch and stain the floor as well. Buying a Loft is one of the biggest financial transactions you will ever make in your lifetime. Which is why it is so important to be an informed consumer. How do you do that? By shopping around, of course. If you were buying a car, you would no doubt shop around for the best deal. You should also do the same for your mortgage. Did you know that shopping around for a mortgage could save you hundreds, if not thousands of dollars over the life of your loan? According to a study from Freddie Mac, consumers who got one additional quote for a Loft loan saved $1,500 on average. Those who got five additional quotes saved $3,000 on average. The numbers are clear – it pays to shop around. 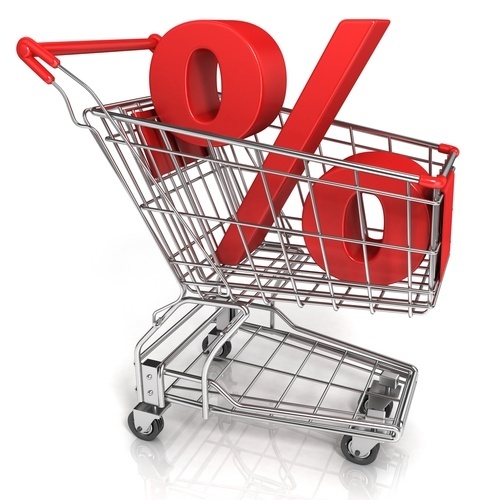 One essential step in shopping for a mortgage is getting preapproved. In today’s real estate market, it’s necessary to get preapproved for a Loft loan before you begin shopping for a Loft. Getting a preapproval letter signals to a seller that you are a serious buyer. In fact, most other buyers will be preapproved. If you omit this important step, it’s unlikely a seller will choose your offer in the event they receive multiple offers on their Loft. In order to get preapproved you’ll need to have your financial documents in order. This includes bank statements, debt obligations, tax returns, employer information, and the amount of money you have saved for a down payment. Although shopping around for a mortgage will take a little extra time, it’s worth it when you consider how much money you can save. By following the guidelines outlined above, you can feel confident that your efforts will secure you the best possible deal on your Loft loan. It takes more to sell a Loft than putting up a listing and hoping for the best. In order to make the most of your Loft sale, you need to get into the right mindset. Knowing what’s ahead and preparing for it will set you up for success. For that reason, it’s vitally important to get yourself mentally ready for the selling process. Here are our best tips on how to do just that. The first thing you need to do to get into a seller’s mindset is to emotionally detach from your Loft. We understand that this is the place where you’ve made many cherished memories. But in order to have a successful sale, you’ll need to treat it as a business transaction. Focus on the future and the life you want to create in your new Loft as you release the old one. Speaking of emotion, it’s easy to let your feelings get in the way when you’re setting the asking price for your Loft. It’s essential that you instead get into a more research-based frame of mind. Don’t rely on a feeling to determine your listing price. Instead, research comps in the area, learn about the local market, and listen to your agent’s advice. Your agent will be using data from the market as well as a deep knowledge of the area to find just the right price for your Loft. The fact is, your Loft probably won’t sell itself as-is. You will need to put in some work, and possibly some money, getting it ready for the market. This means making needed repairs or upgrades, sprucing up the curb appeal, and staging it for showing. The more appealing your Loft looks to potential buyers, the more likely you’ll sell quickly and for a good price. But it will take some time, effort, and money to get your Loft ready for showing. Finally, it’s important to remember that you are part of team. When you engage a professional real estate agent to help you with the sales process, that person becomes your partner. You will be working as a team with your agent, and will need to be open to ideas, suggestions, and advice. The same is true for your agent. You’ll want to partner with someone who will understand your needs and your experience with the Loft. By relying on each other, you’ll be far more effective than if each of you were working independently. 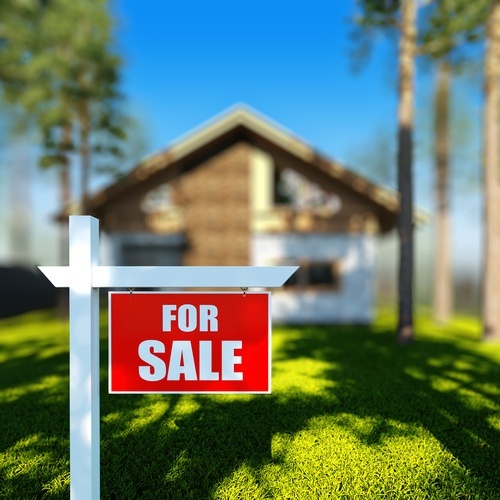 You’ve probably heard that the real estate market hits its peak in spring and summer when kids are out of school and families to have time to make the transition. But that doesn’t mean that you can’t be in the market and score a great deal during the other times of the year. If you’re thinking of buying a home in winter, here’s what you need to know. As stated above, there are fewer serious buyers in the winter. No buyer wants to get involved in a bidding war, and you’re less likely to experience that during the winter season. Fewer buyers mean less competition, so you’re more likely to be able to make an offer and have it accepted. And if you’re in a buyer’s market where the inventory of homes for sale is high, there’s a good chance you could find a great deal at this time of year. If 2019 is the year you want to sell your Loft, then there are some things you should know before you do it. In fact, the more time you can spend getting organized and preparing your Loft before it hits the market, the better. After all, you only get a single chance to make a good first impression. Here’s what you need to know before you sell. Do you have pie-in-the-sky dreams about selling your Loft at a great price? While it’s great to daydream, you also need to ground your expectations in reality. While you may have a general idea of what the housing prices are in your area, it’s time to do some more research. Check to see how many homes are for sale. Look for homes that are comparable in size, number of bedrooms and bathrooms, and other amenities. You might even consider attending a couple of open houses. 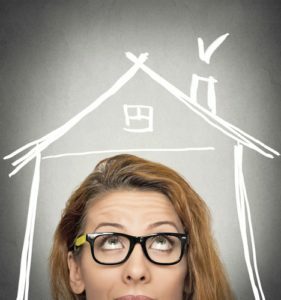 Educating yourself about local housing prices will help you as you decide on an appropriate asking price for your own Loft. Remember how much paperwork was involved when you bought your Loft? It’s time to get ready for that again. Sort through all the paperwork you have for your Loft. This includes documents related to the original sale as well as your mortgage, tax bills, utility bills, warranties, appliance manuals, and records of repairs. You will also want to make sure that any outstanding permits or building violations have been cleared. Finding and organizing all this paperwork before you begin the sales process will make everything run much more smoothly. When you think about selling your Loft, you think about making money, right? Well, it’s important to remember that it also costs money to sell your Loft. 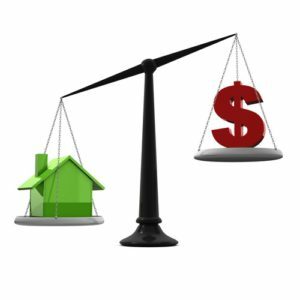 While some of the fees are negotiable, you can expect to pay about 10 percent of your selling price in fees and commissions. These costs include the real estate agents’ commissions as well as closing costs like HOA fees, property taxes, transfer taxes, title insurance, escrow fees, and attorney fees. You may also be footing the bill for repairs, professional staging, and utilities while the Loft is on the market (even if you aren’t living there). Also remember that the proceeds of your Loft sale will first be used to pay off your existing mortgage, including any penalties for paying off the mortgage early. Finally, the best tool you can have in your arsenal when selling your Loft is a knowledgeable real estate agent. Take time to interview several agents in your area so you can get a feel for them. Don’t be afraid to ask questions and to research their backgrounds. It’s important to choose a real estate agent with whom you feel comfortable. You will feel less stress down the line when you know from the beginning that you’re in good hands. Selling a Loft can be a complex process, and it pays to prepare ahead of time. By knowing what to expect and getting organized, the process will be much less stressful for both you and the buyer.